Preheat oven to 375 degrees F (190 degrees C) and lightly spray a 12-cup muffin tin with cooking spray. Combine tuna, ½ cheese, mayonnaise, and Worcestershire sauce together in a large bowl. Season with pepper. Cover and refrigerate until ready to use. Whisk flour, cornmeal, salt, and baking soda together in a large bowl. Stir in eggs, buttermilk, green onion, and melted butter; whisk until combined. 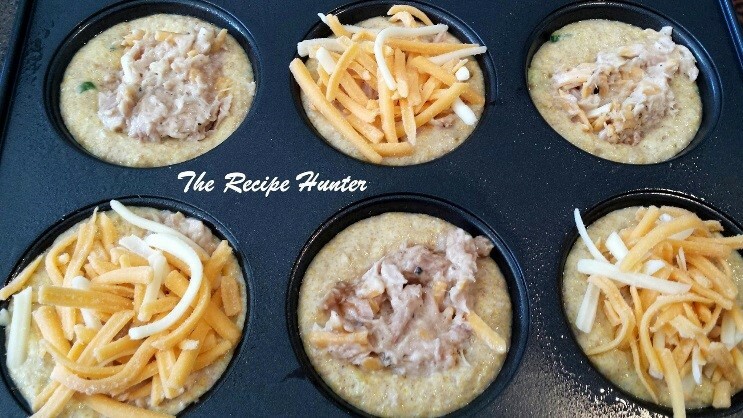 Divide batter evenly in the prepared muffin tin, reaching ¾ full. Tap the pan on the countertop to remove any air bubbles. Scoop 1 to 2 tablespoons of the crab mixture into the center of each muffin. Lightly press the tuna mixture into the batter. 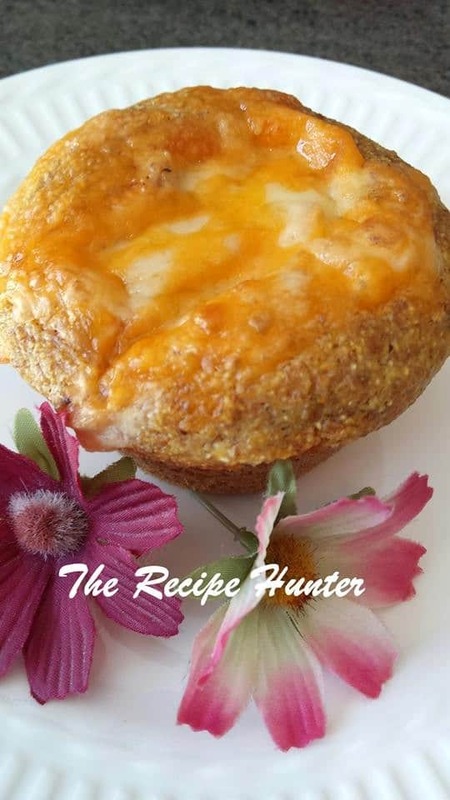 Top each muffin using extra cheese. Bake in the preheated oven until golden brown, 25 to 30 minutes.